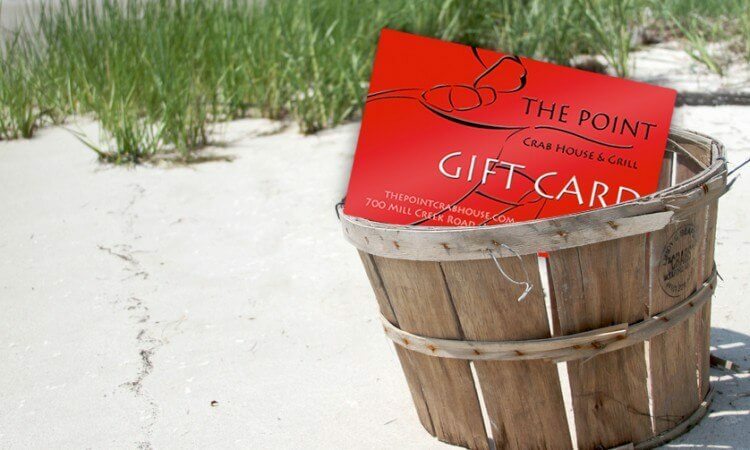 Give the gift of delicious fare and good times by purchasing a gift card from The Point Crab House! 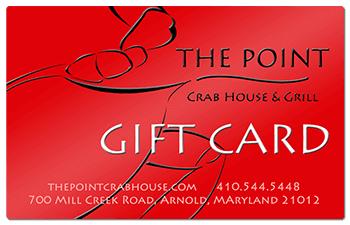 Your Point Gift Card will be mailed out within 2 business days of purchase. 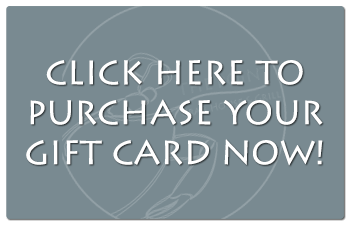 This is subject to change during the holiday season.